On government projects, scope is constrained because it is not as open-ended at the beginning as in the private sector. In the public sector, scope is constrained by such considerations as who is in office, what the constituents want, existing legislation, an extensive set of rules for doing business and prior requirements, which typically must still largely be satisfied. By contrast, it may be challenging in industry to develop requirements for an application that never existed before – but at least it is open-ended at the beginning. On government projects, I think it is a daunting challenge to define scope and develop requirements when you need to contend with all of these other distracting forces. I am using the phrase “constrained scope" to describe a limited latitude to negotiate changes to the scope. In private industry, there would likely be a limited number of stakeholders with many common end objectives, but in government there are more often a larger number of stakeholders and the interests of these stakeholders tend to be divergent, since various departments tend to operate more autonomously, almost like separate companies. In addition, the ultimate stakeholder is, or should be, the citizens. Prior requirements, agreements and applications will severely constrain what can be included in a new system. The impact of stakeholders is not necessarily measured by financial impact. Often a stakeholder has a stake in a project related to the public welfare. Alternatively, it could also relate to political influence or other conflicting objectives. Seemingly minor stakeholders can be costly in terms of time and complexity. It is more difficult to dismiss a stakeholder in government than it is in industry, because you cannot so easily use your judgement as to the importance of their concerns – and the impact of a concern cannot be based on financial considerations. There may be some conflicts among stakeholders, leading to further negotiations and slowing progress. Not only must you deal with the interests of each stakeholder, but you also need to track and resolve potential conflicts among them, of which they may not even be aware. Stakeholders can bring constraints due to prior agreements between departments or agencies. This is an important environmental consideration. The bottom line is that, with a large number of stakeholders, there is a huge amount of work in resolving all of the inputs, demands, needs and desires of the various stakeholders. There are many points of failure – and in fact, the number of points of failure grows geometrically with the number of stakeholders involved. 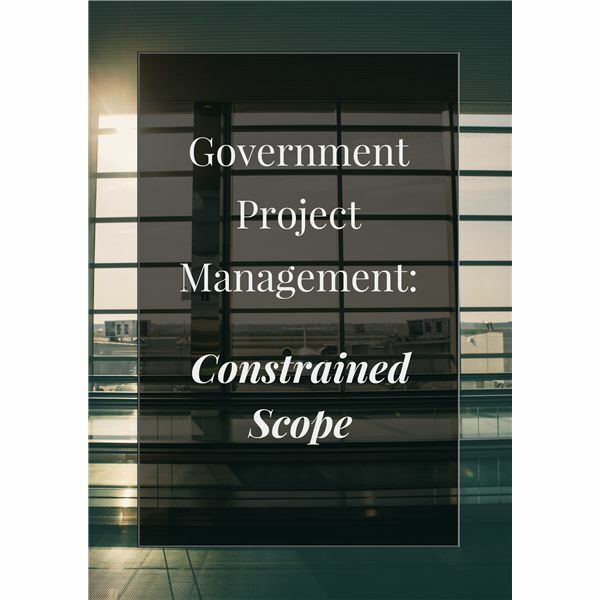 The question is how can a government project manager manage these constraints on the scope of the project and facilitate moving the project forward? A series of four articles on government project management. This sector of the economy is ripe with immense and unique challenges. Learn about the unique challenges and steps to success in this sector. Copyright © 2019 Bright Hub PM. All Rights Reserved. How Does IBM’s Statement of Values Infuence Projects? How Does Facebook’s Mission Statement Influence Projects? © 2019 brighthubpm.com - All rights reserved.